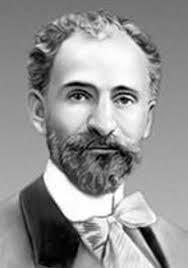 Hovhannes Tumanyan was born February 19, 1869 in Dsegh. It is considered one of the greatest poets and Armenian writers. Inspired by the folklore and folk legends, he also developed the literature for children and founded the literary group Cenacle and the association of the Caucasian writers. He was also one of the first literary authors to adapt texts for the young. He was thus one of the forerunners of the Armenian children’s literature. Posted on jeudi, juillet 31st, 2014 at 9 h 58 min.